CureTape® is the most used product in the human physiotherapy sector. 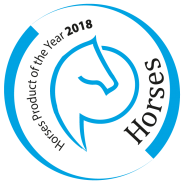 Especially for the veterinary sector FysioTape B.V. developed VetkinTape®. In the equestrian sector people are now also getting used to the bright colored tape, which is applied to the horse’s coat by a therapist or veterinarian to help improve a complaint. This 24 hour therapy form is ideal for keeping a horse supple and top fit at competitions. The elastic tape does not contain any medication. By applying VetkinTape® in the correct way, the fascial structures are influenced. This ensures, among other things: – pain relief., – lymphatic drainage., – muscle tone change.